AMS visits 1AM for a team-building workshop! 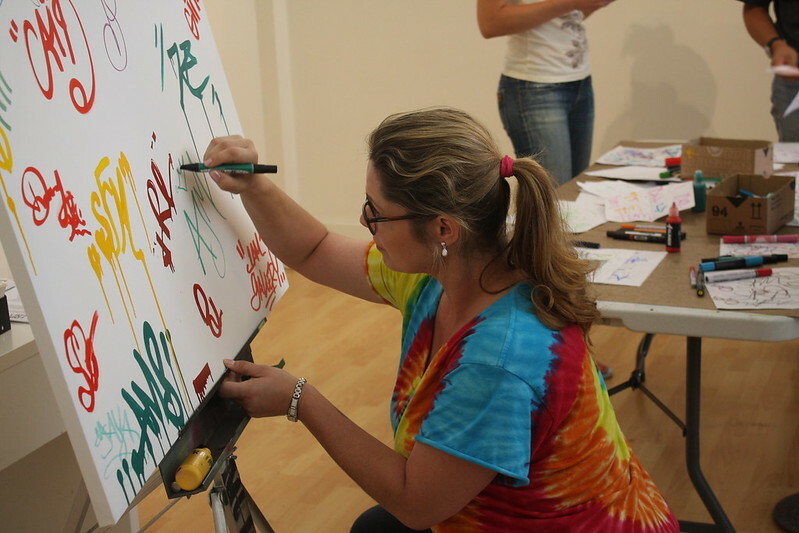 Home/Classes, Mural Production, Team Building Workshops/AMS visits 1AM for a team-building workshop! SF AMS, SF Match, and the American Academy of Ophthalmology visited us for a team-building offsite event and busted out an awesome mural on our 1AM Wall! 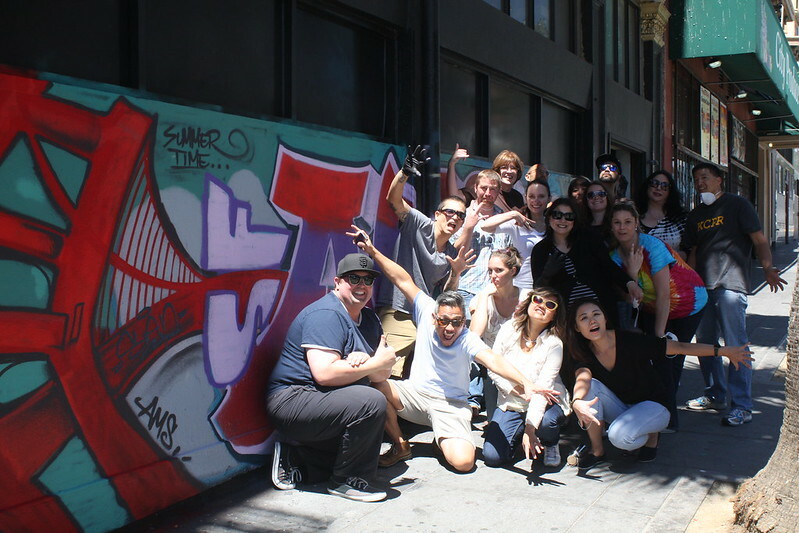 During their workshop they got down on our tag wall (that they later got to take home to the office), learned about graffiti history and explored the local murals, we hope you guys had a blast! If you are interested in coordinating a team-building workshop for your group, feel free to email maya@1AMSF.com.